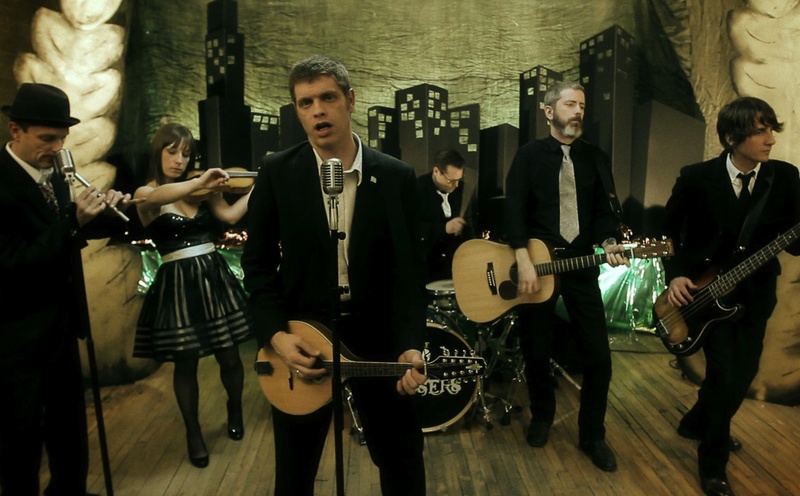 ERIC RICHTER, Victory Records’ in-house video producer, has a new video for The Tossers’ “Emerald City,” the title track off the Gaelic punk band’s new album. The song is front man Tony Duggins’s love letter to his hometown. Richter and DP/Steadicam operator Dustin Smith shot the band playing at Victory’s West Loop office, and they also captured extensive roving shots of Chicagoans all over town. Sara Chapman supplied scenes of St. Patrick’s Day parades and other local atmosphere from Media Burn’s deep vault of Chicago archival footage. The Tossers play March 16 at Metro. Sebastian’s wife Dana Pupkin stars with Eric Hailey, Bill Redding, and Joel Wiersema. Juliet McDaniel wrote the script. Pupkin and Sebastian produced with Jeremy Truelove and Lake County Film Festival founder Nat Dykeman. It’s March 5 at Landmark’s Century Centre, 2828 N. Clark St. Doors at 6 p.m., producers panel at 6:30, screening at 7:30, after party at Avenue Tavern, 2916 N. Broadway. FATHER AND SON FILMMAKERS Kurt and Nick Gerber of Gerber + Scapelli Photography are making Operation Route 66, a documentary about their transcontinental road trip, during which they interviewed veterans of the wars in Iraq and Afghanistan transitioning back to civilian life. THE 6th ANNUAL PEACE ON EARTH FILM FESTIVAL opens March 7 with Ben Moses’s A Whisper to a Roar, chronicling democracy movements in Egypt, Malaysia, Ukraine, Venezuela and Zimbabwe. The festival, which celebrates nonviolence, tolerance, social justice, and ecological balance, runs through March 10 at the Chicago Cultural Center, 67 E. Washington St., with six feature documentaries, three narrative features, seven short docs, five narrative shorts, and seven student films. WRITER/PRODUCER RAM GOETZ and director John Santiago of ShutOut Productions are making the feature drama Blame this March. Joe Rubin stars as a bodybuilder striving to overcome trauma from a past abusive relationship. With Amber Calderon, Jay Disney, and Kersten Haile. Corey Powers is DP. Production designer, Tanner Masseth. CINEMA SLAPDOWN March 13 at Columbia College centers around one of 2012’s most provocative film, Compliance, with Facets Multimedia founder Milos Stehlik versus Frederick Miller, MD, PhD, Chair of the Department of Psychiatry and Behavioral Sciences, North Shore University Health System. Referee’d by associate professor and Talk Cinema host Ron Falzone, at Film Row cinema, 1104 S. Wabash, 7 p.m.
MIKE (TAPIOCA) HOULIHAN’s documentary Our Irish Cousins, covering the “solid green link between Chicago and Ireland” through Houlihan’s trip to the Ould Sod to explore his roots, screens in the Gene Siskel Film Center’s 16th Annual European Union Film Festival, March 13 at 8:15 p.m. at 164 N. State St. Send your indie cinema news to edmkoz@gmail.com.